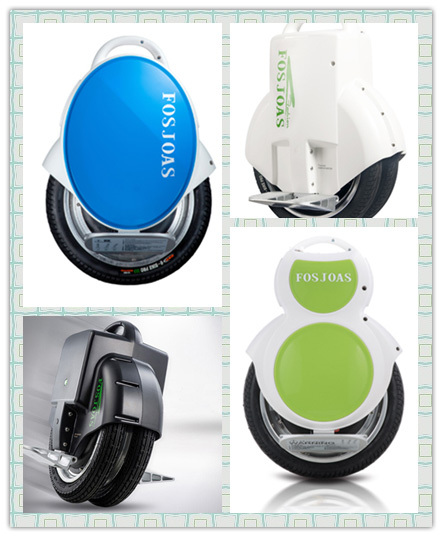 Fosjoas is always a shining star in intelligent self-balancing electric scooter sector and twin-wheeled balancing electric unicycle is one of series. Under this series, there are several scooter types, including V2, V3, V5 and V8, which have small figure, light weight and twin-wheeled design. However, these little things will give people great help. Whatever the age, figure and height a person is, he or she always can find a satisfactory Fosjoas twin-wheeled electric scooter. According to the appearance, Fosjoas twin-wheeled electric scooters have some delicate differences. Generally speaking, V2 and V5 have smooth figure line and bright colors, which is quite suitable female. V3 and V8 have robust looks, which attract many men from young to old. The twin-wheeled design is quite clever. When Fosjoas twin-wheeled electric scooter is powered on, it can stand on by itself, which paves the way for people to step on pedals and keep balance easily. The adopted aerospace attitude control theory, fuzzy software algorithm and gyroscope system makes riding very relaxing. The beginners can stand on pedals by placing hand on wall. Then, they slightly lean forward, lean backward, turn left or turn right, which will realize accelerating, decelerating and steering. What Fosjoas twin-wheeled self-balancing scooters can do for people? In leisure time, they are good killers for boring time and perfect tools for exercise. Riding a Fosjoas twin-wheeled scooter and weaving on road will be exciting. In the meantime, every part of body, like four limbs, waist and back, is fully used during riding, which is also an exercise process. In daily life, Fosjoas twin-wheeled scooters are great commute transports for people. Small figure of them effectively avoids traffic jam and freely passes through passersby. They not only save much valuable time, but also facilitate people’s life. What is more, they bring people clean air. Don’t forget that Fosjoas electric unicycle self balancing scooter are driven by lithium-ion battery.